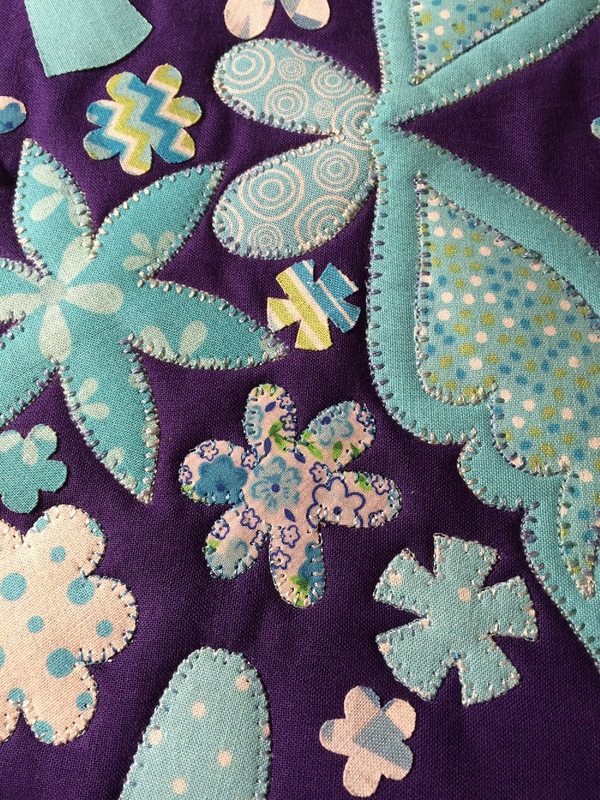 This weekend I had a lovely day at the beach on Saturday and the rest of the time I worked on the applique pillow that I wrote about in my first blog post. The pattern is from Don’t Look Now by Kellie Wulfsohn. 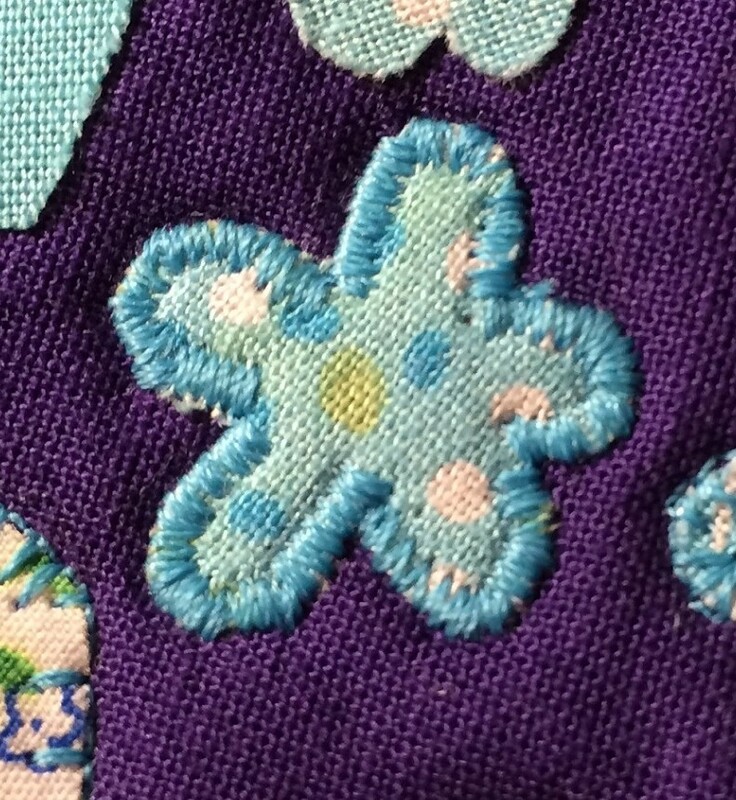 It is still work in progress but I have started the applique. I have tried the free motion stitching suggested in the pattern. It doesn’t look that good but practice makes perfect. My youngest daughter who wanted me to make the pillow like the blanket stitch but it doesn’t work very well with the small shapes. Personally I like the satin stitch but it uses a lot of thread and isn’t that good with small shapes either. At the moment we have decided on blanket stitch on the sewing machine for the bigger pieces and free motion stitching for the smaller pieces. I have also played around with different kind of threads and decided on a variegated rayon embroidery thread which looks very nice. 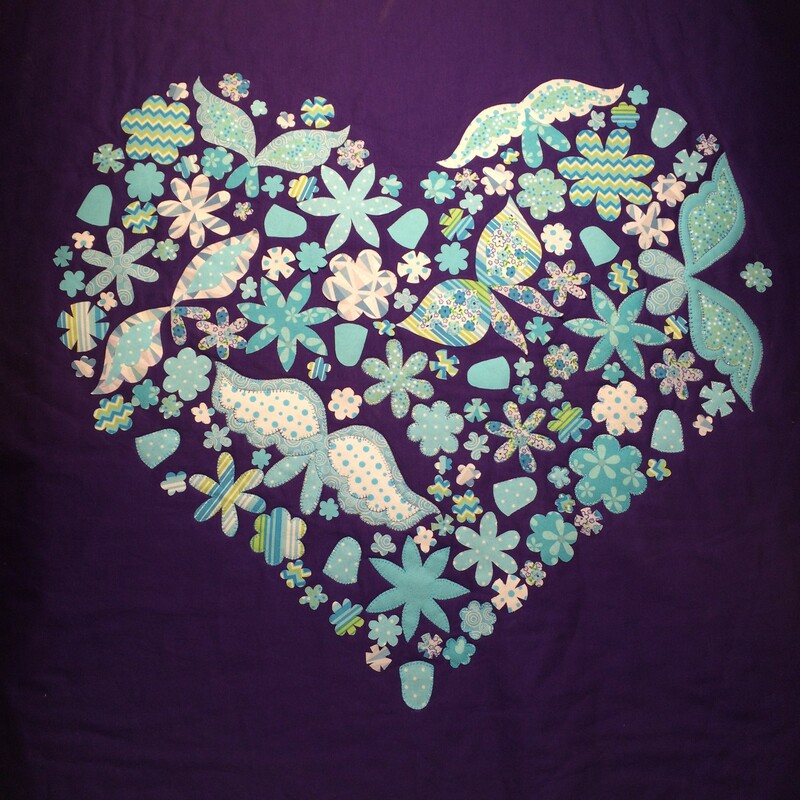 While looking around online about this subject I found a tutorial by nikki, in stitches on raw edge applique with a single straight stitch. I thought it looked very nice and will definitely try it in the future. 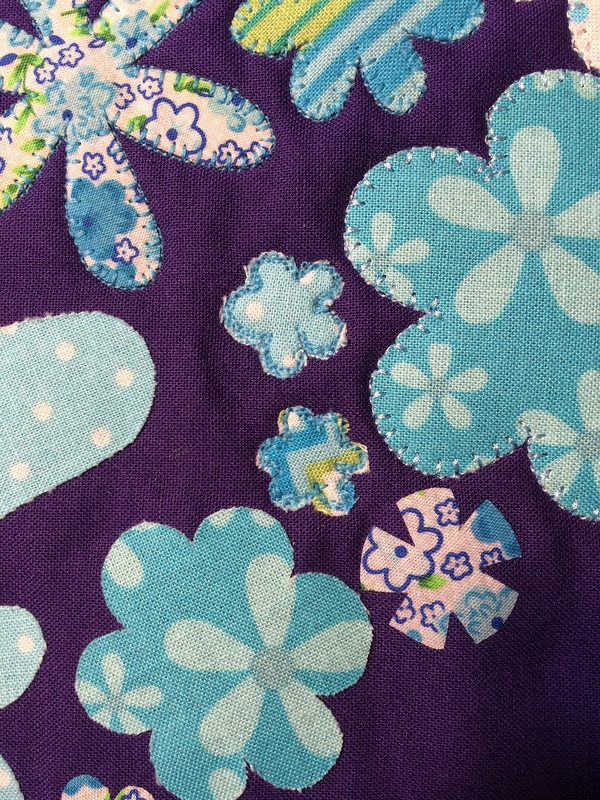 What’s your favourite raw edge applique method? Until next time Happy Sewing and take care! I can’t wait to see how your finished pillow looks! Thanks so much for sharing my raw edge appliqué technique, and for sharing Kellie’s work. I am now completely in love with her quilts and can’t decide which one to make first! Thank you, I will put the pillow on the blog when it’s finished.